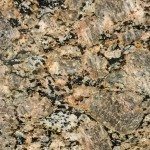 Atlantic Stone is a wholesale supplier of granite and natural stone serving Georgia, Alabama, South Carolina, North Carolina, Tennessee and Kentucky. Our distribution center is located in Acworth, Georgia. Clients can visit our granite suppliers to select from a large inventory of slabs for both residential and commercial projects. Atlantic Stone is able to offer the best prices due to bulk purchasing and strong international relationships. Specializing in fine exotics, our buyers travel directly to quarries throughout world to hand select choice granite and natural stone.